Dr. Pederson received a Bachelor of Science degree in Genetics from Illinois State University in 1991. He then went on to receive his Doctorate in Chiropractic Medicine from the prestigious Palmer College of Chiropractic in Davenport, Iowa in 1995. Since completing his doctorate Dr. Pederson has done extensive post-doctoral training in nutritional therapies and functional medicine. He has studied Functional Blood Chemistry under Dr. Datis Kharrazian, DHSc., MS, DABCN and Functional Neurology with Dr. Michael Johnson DC, DABCN. One of Dr. Pederson's great passions is speaking to local groups about health and wellness. He regularly gives free educational talks teaching people how to be more healthy and fit. He is readily available to speak to civic clubs, church and social groups for as many as 5 to 500 people. 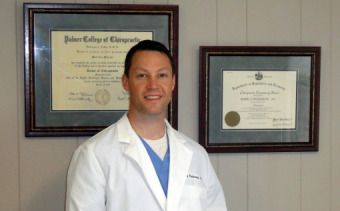 Dr. Pederson currently resides in Warren, Minnesota, with his wife, four daughters, two sons, three cats and dog, Bella.